In a day where science seems to be the final arbiter of truth, all religious convictions and theological persuasions are relegated to the world of faith. Does the Christian have any reason to believe in the existence of a creator? Is there a personal first-cause of the cosmos? Some have charged theists to be without excuse in their belief in God. How do you answer that charge? In this four-part study, Dr. Sproul helps us deal with the criticisms and assaults on the Christian faith and answers critical questions Christians commonly hear in today’s world. 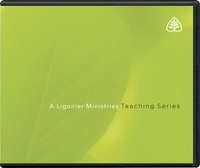 This series is part of the vintage collection from the Ligonier Valley Study Center in Ligonier, Pennsylvania.